3b: Ilka, are there any impacts on research due to the lack of interest in science? The mission of the IPN is the development and promotion of science and mathematics education through research. In her daily work, Prof. Ilka Parchmann is confronted with a dramatic lack of interest of students in science. She explains the consequences on research due to this gap. 3c: Ilka, which approaches to science are helpful to raise the student´s interest? 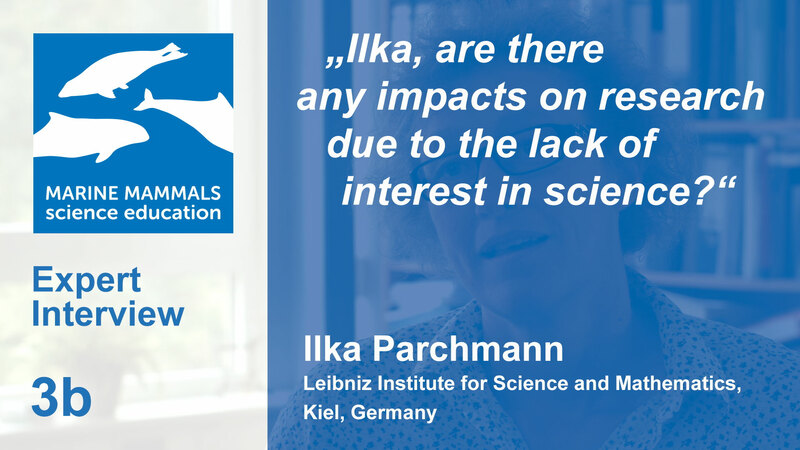 3a: Ilka, what are the reasons behind the good efforts of scientists and researchers within this project? This project is funded by the Horizon 2020 Framework Programme of the European Union under Grant Agreement no 710708.